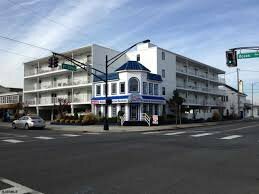 Are you looking for Ocean 900 condos for sale in Ocean City NJ? The Ocean 900 was built in 1987 and is located at 900 Ocean Ave. There are 24 units that are one bedroom with one bathroom. Pets are not allowed and there is one car assigned parking. Amenities include storage facilty, outside shower, deck/porch, with a laundromat on the site. Walikng distance to the boardwalk and beach. Great location!